Allolobophora chlorotica, the Green Worm, is an earthworm that comes in two colour morphs - a muddy greenish yellowy form and a pinker one. It is thought the different colour morphs of chlorotica have slightly different habitat niches with the green morph needing very wet conditions, the pink morph preferring slightly drier conditions. 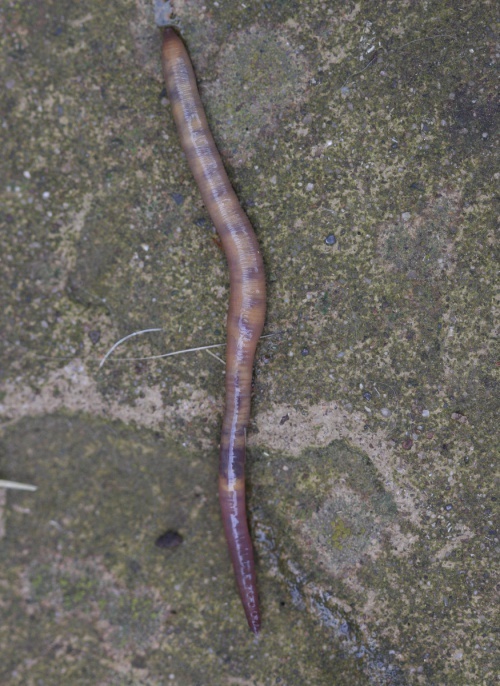 This species stands out amongst the other earthworms due to the presence of three pairs of 'sucker like' discs on the underside of the clitellum. It can be found in a range of habitats from woodland and arable land to your own front lawn. 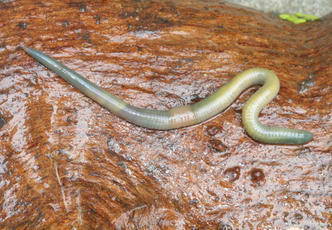 A. chlorotica falls into the endogeic group of earthworms with horizontal burrows. These are the soil feeders and very rarely come to the surface.